We invest our time, attention, and money in many ways, but there is no greater investment than in our health. For companies, the wellbeing of their workforce is critical to maintaining productivity, controlling costs, and fostering employee happiness. Wellness is an investment with significant returns for both employer and employee. However, company-sponsored programs often fail to help employees change long-standing habits and make healthier choices. The team behind Life.io recognized that employee health is a company’s greatest asset. The company combined behavioral economics with evidence-based science to create a new form of wellness program that links an incentive system to a clinically-proven reduction in employee health risk. Life.io takes an innovative approach to engage employees and encourage healthy lifestyle choices that can bring greater health benefits later in life. 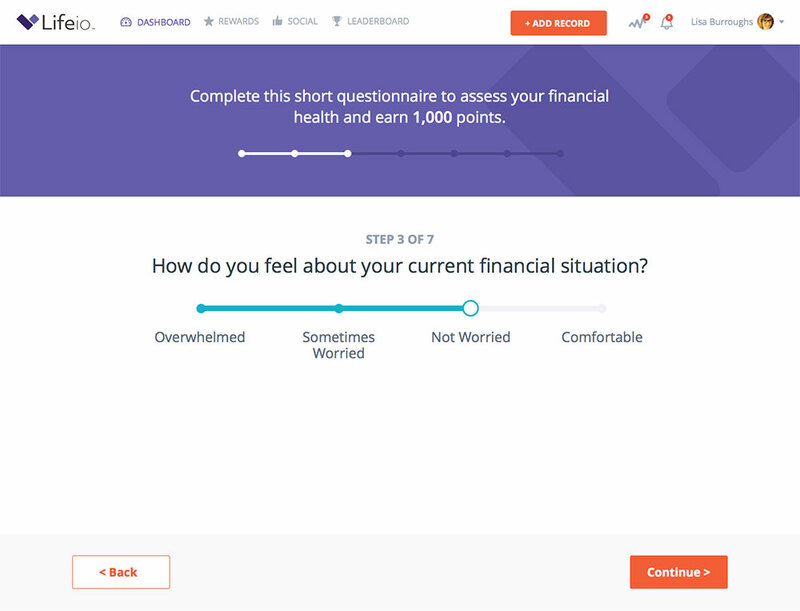 The company created the “LifeStyle Score” which brings together biometric, lifestyle, and behavioral parameters to offer real-time, actionable feedback on a user's daily habits. 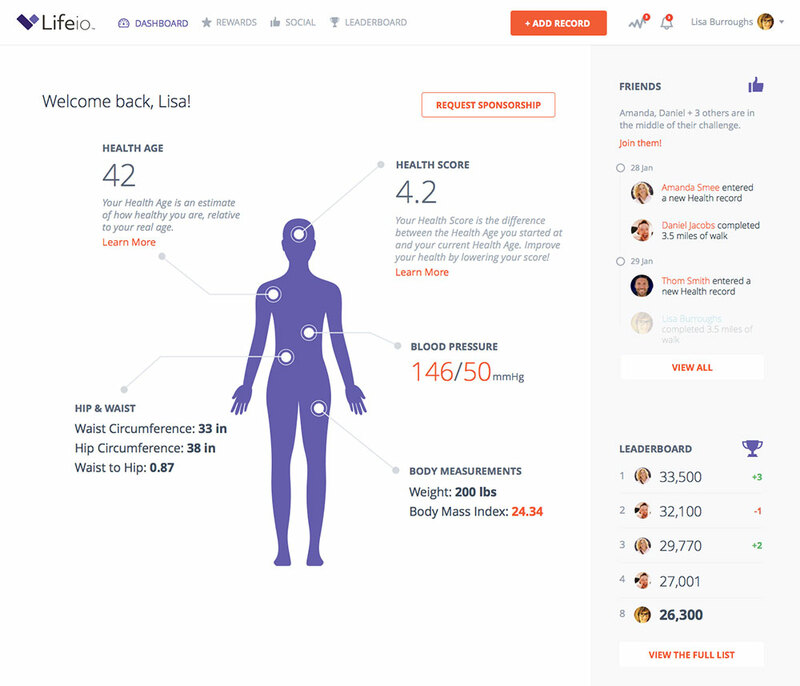 Employees can use Life.io to view their personal health trends, set goals, and track changes. Life.io’s community is dedicated to helping everyone adopt healthier habits, providing incentives to make the journey more fun. The Life.io app has been on the Heroku platform from the beginning. Not only did the team have prior experience with Heroku, but the young bootstrapped start-up was reluctant to dedicate precious resources to DevOps staff and maintaining a server infrastructure with associated toolsets. Going with Heroku was cost-effective, highly efficient, and freed the team up to focus on development. Also, due to the sensitive nature of their data, the company needed a robust database backup solution and found that Heroku Postgres and its seamless integration met their needs well. The development team built their app in Ruby on Rails because the object-oriented nature of the language was well suited to their project and using Ruby on the Heroku platform was a natural fit. As the application gets larger and pivots to a microservice structure, they may expand into more functional languages in future. The combination of Ruby and Heroku gives Life.io the flexibility and scale they need to expand into new markets and new regions globally. By first building a stable and well-written application in Ruby, Heroku then allows the company to easily scale up resources and staff in order to seamlessly manage their business growth. On the front-end, the Life.io team took a very sleek and lightweight approach in order to keep load times down and streamline user experience. 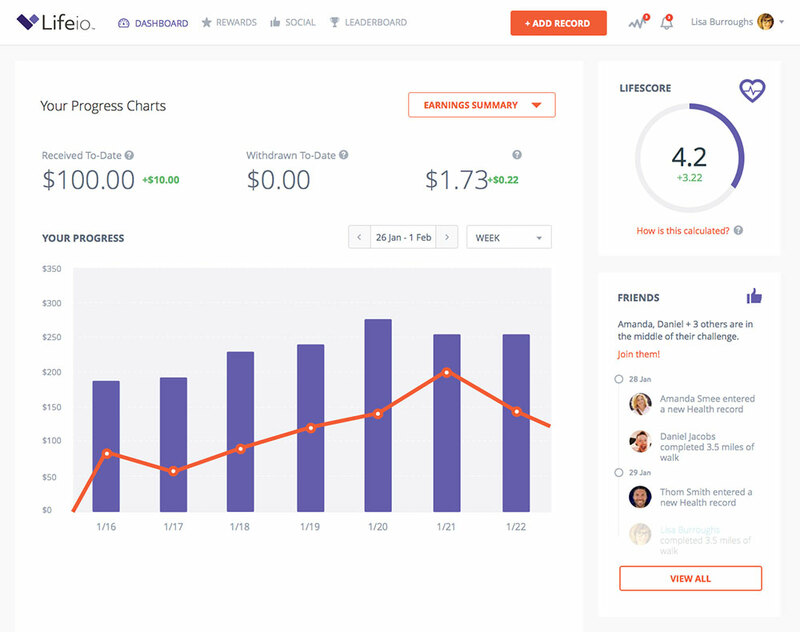 To keep engagement numbers high, they want users to easily get in, track their numbers, and get instant feedback without getting bogged down in extraneous detail. They accomplished this using Bourbon and Neat gems for pre-compilation, and building Sass into their Ruby asset pipeline. 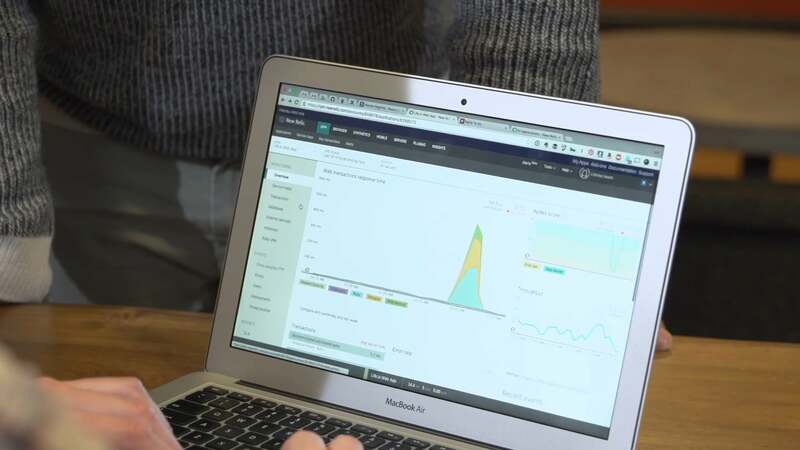 To help them monitor their app’s performance, Life.io’s development team uses Heroku Add-on New Relic APM which provides valuable insights, such as page load times and total uptime, so they can fine-tune or troubleshoot as needed. They also use the add-on Papertrail for log management, as well as full-service Bugsnag for bug reporting. For better performance, the team recently moved to a delayed job setup using Sidekiq’s background processing to task Heroku workers from an easy-to-use Redis To Go add-on. In order to comply with HIPAA regulations and protect sensitive health data, the Life.io app integrates with TrueVault healthcare cloud data storage. Because of this, the team has appreciated how easy it is to properly configure environment variables in Heroku. In particular, the rollback feature has been critical for the team on a couple of occasions, saving significant time and effort. As they run their app, Heroku makes it easy for the team to experiment and make improvements along the way. They can easily spin up a new environment to test updates and new features, re-allocate performance dynos to handle uneven traffic, or increase worker dynos to accelerate reporting capabilities. The team relies on Dataclips to frequently monitor users’ actions, find population statistics, and even to help with user segmentation and engagement initiatives. After a year and a half in market, Life.io has seen rapid growth in user engagement. By mid-2015, one out of five employees are actively engaged on the platform more than once per week, and an average of 3% weight loss has been noted across their customer base. Through a streamlined web or mobile interface, Life.io motivates employees to be more active, manage stress and habits, and most importantly, prioritize a healthy lifestyle. Users update their health metrics on an ongoing basis, such as BMI (body mass index), weight, body measurements, glucose levels, and habits such as smoking or sleep. As health improvements are recorded, the user’s health score goes up, and if their health has been neglected, their score drops. Users can view their health trend report and associated earning potential mapped across a graph. Employers enter an overall incentive budget for their workforce, and can choose to add a dollar amount associated with a wide variety of engagement activities, from simply logging in to specific metrics such as pounds of weight lost. Companies can also choose to run a lottery for some higher-value rewards, or include non-financial incentives. 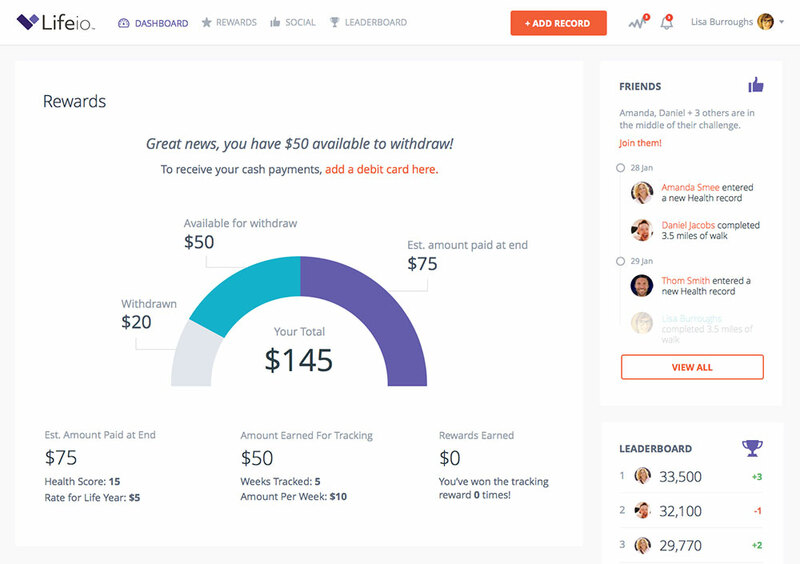 As their platform evolves, Life.io plans to add formal social support, such as the ability to create teams and team goals, along with community features such as leaderboards. Life.io is re-imagining employee wellness in order to cultivate the ultimate ROI – a healthy workforce. Is your company building a data-intensive app that needs to scale across markets and geographies? Heroku’s flexibility and scalability helps Life.io set up for rapid growth. For more information, contact Heroku today. Based in Philadelphia, PA, Life.io enables companies and their employees to invest in health improvement with results that are measurable. By tying health incentives directly to reduction in health risk, the company transforms the abstract value of health into concrete rewards. For more information, visit life.io.